When you’re looking for all day comfort, look no further than the Premio. These bibshorts deliver the compressive support that you need for a century in a simple, comfortable design. Featuring the proven Forza fabric, these bibshorts will fit like a second skin and breathe new life into your weary legs. 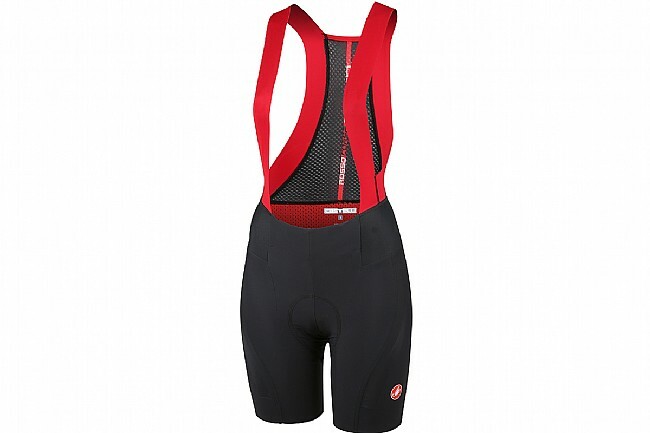 Starting at the straps, Castelli brings back their seamless ergonomic bib straps bonded directly to the short. Featuring a large mesh panel running the length of your back, moisture is wicked away from your skin keeping you cool. A 3D mesh lumbar panel offers a lightweight, breathable compressive support area where it’s needed most. As we move down to the short itself, Castelli’s proven Forza fabric reduces the road vibration's wear-and-tear on your legs while fitting incredibly well.